The Tampa Bay Rays on Monday traded a second baseman to the Los Angeles Dodgers in exchange for a top-ranked pitching prospect. If this deal sounds familiar that’s because the Twins had pursued something similar with the Dodgers. But it’s now clear that the Dodgers were only interested in a 1-for-1 swap for pitcher Jose De Leon and were unwilling to part with any other players. The Twins had wanted more from the Dodgers for second baseman Brian Dozier, who hit 42 home runs in 2016. Instead, the Rays sent infielder Logan Forsythe to the Dodgers for De Leon. At first glance, this appears to be a good move for the Rays, a team that’s also trying to rebuild like the Twins. The upside for De Leon looks much more tantalizing than the outlook for Forsythe. Forsythe, who just turned 30, took off in the 2015 season and largely followed that up with a quality effort last year. All told, he owns a .273/.347/.444 batting line with 37 home runs in 1,182 plate appearances over the past two campaigns. The 24-year-old De Leon does indeed seem to have a bright future ahead of him. After ranking as a top-thirty prospect leaguewide entering the 2016 season, he battled through some injuries to earn his major league debut. Though he wasn’t terribly impressive in four MLB outings, De Leon laid waste to Triple-A hitters with 86 1/3 innings of 2.61 ERA ball with 11.6 K/9 and 2.1 BB/9. So now what do the Twins do? I guess Falvey & Co. can start working the phones to see if the Rays have any interest in Dozier and his 42 home runs. And the bigger question for the Twins is whether the Rays would give up more than one player to complete the deal. This is Day 78 of #DozierWatch, by the way. #mntwins can finally cross #Dodgers off the list. 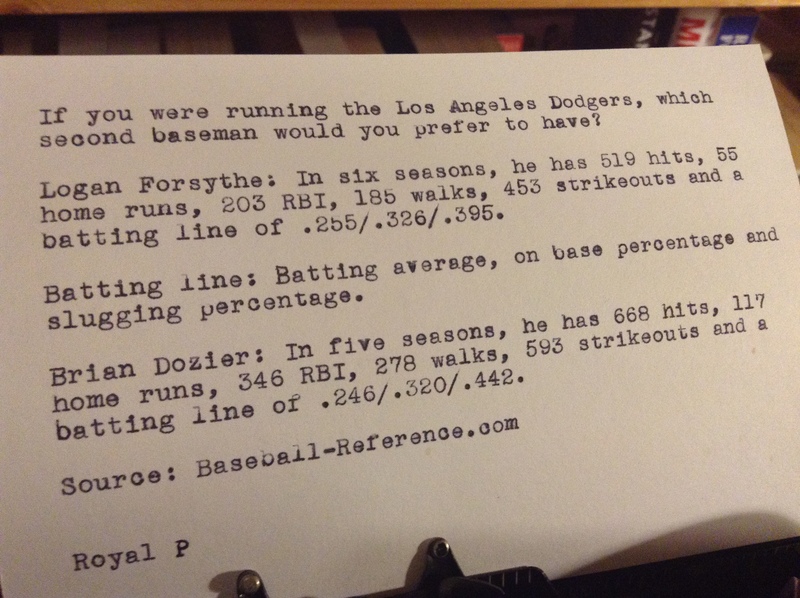 #Dodgers viewed #Twins’ ask for Dozier as significantly higher than #Rays’ ask for Forsythe. MIN wanted more than DeLeon. Logan Forsythe 6.2 (20th) #mntwins were right to hold their ground.